They are cotton mats with bunches of nylon or plastic spikes fixed on them. You are supposed to gently ease your weight on the mats while the spikes stimulate the nerve endings on your body. As they do so, they stimulate the skin and secretion of the hormone, which is said to be a relaxing hormone. Regulating the blood circulation and waves in the body by applying pressure on selected pressure points in the hands and feet is acupressure treatment. This ancient healing technique of applying pressure through particular tools gives relief from many diseases. Acupressure hand roler with handle help to relieving joints, back, lower back, shoulders, neck, forehaead, arms, legs, hands, feet, knees, elbows, or any type of body or muscles pain. : Pyramid Seat consist 72 pyramid chips based on pyramid & Acupressure system. Specially pyramid points helps in balancing Bio-energy of the body. Use on office Chair, Sofa and Floor etc. Useful in problems like - Sciatica, Piles & Urinary. Improves sitting & working capacity. It's an enduring classic, ACU Mat is a combination of Acupressure, Magnets & pyramids to give you quick relief from common ailments. Warms up your body by stepping on it for three to five minutes daily. It's an enduring classic, Acupressure Mat is a combination of Acupressure, Magnets & pyramids to give you quick relief from common ailments. Warms up your body by stepping on it for three to five minutes daily. It's an enduring classic, ACM Mat is a combination of Acupressure, Magnets & pyramids to give you quick relief from common ailments. Warms up your body by stepping on it for three to five minutes daily. 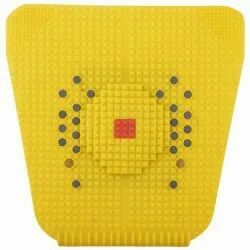 Shakti Acupressure Mat is a mat that has 4000 spikes. A tougher mat, it works extra thoroughly and is found to be perfect for athletes as well as those who exercise regularly and need a more intense treatment. 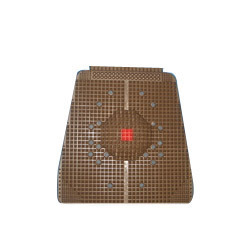 Our acupressure mats help in relieving pain, stress and depression. It also aids in weight loss and energy revitalization.